New smartphone app using the phone's camera and lab kit can help identify urinary tract infections (UTI) faster, reports a new study. 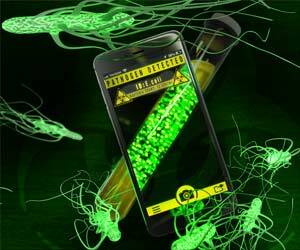 In a potential game changer for the healthcare industry, a new cell phone app and lab kit now allow a smartphone to identify bacteria from patients anywhere in the world. With the new app, doctors will be able to diagnose diseases and prescribe the appropriate antibiotic within a one-hour office visit, meaning faster recovery -- and lower treatment costs -- for patients. Developed by a research team of UC Santa Barbara scientists and colleagues, the study "Smartphone-based pathogen diagnosis in urinary sepsis patients" was published in the journal EbioMedicine. The detection system succeeded in achieving a rapid diagnosis of urinary tract infections -- among the most common type of infection globally. The app uses a smartphone's camera to measure a chemical reaction and determines a diagnosis in about an hour -- and the simple, low-cost test can be performed in the world's most remote locations. 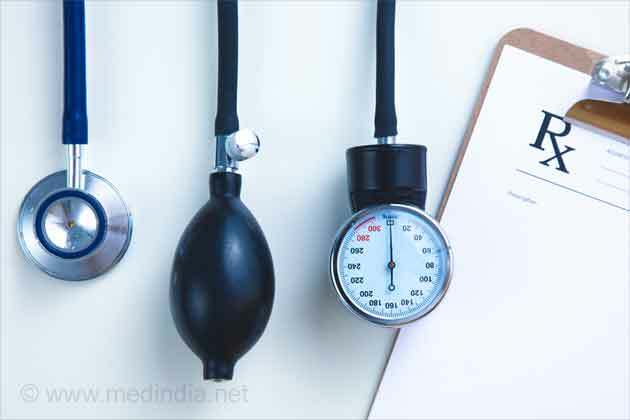 The project was led by professors Michael Mahan of UC Santa Barbara and Tom Soh of Stanford, along with Santa Barbara Cottage Hospital physicians Jeffrey Fried, M.D. and Lynn Fitzgibbons, M.D. Additional collaborators include UCSB scientists Lucien Barnes, Douglas Heithoff, Scott Mahan, Gary Fox and Jamey Marth -- who is also also a professor at Sanford Burnham Prebys Medical Discovery Institute (SBP) -- as well as Cottage Hospital scientists Andrea Zambrano, M.D., and Jane Choe. "This simple test for urinary tract infections can be conducted in a fraction of the time and cost of clinical diagnostics -- one hour versus 18 to 28 hours," lead author Mahan explained. "We believe that this lab test holds the exciting potential to bring state-of-the-art diagnostics within easy reach of non-expert users." The process is simple and straightforward. A small volume of the patient's urine sample is collected and analyzed by the smartphone app using the phone's camera and the diagnostic kit. No additional specialty materials are required. "This is a great example of an interdisciplinary collaboration between biologists and engineers to solve important biomedical problems," said Soh. "We hope technologies like this offer new ways of providing better healthcare around the globe." The multi-institution collaboration was launched to develop rapid, low-cost diagnostics that can be used by healthcare providers anywhere in the world to diagnose bacterial infections. The test can be performed rapidly, and the lab kit can be produced for less than $100. And it requires little more than a smartphone, a hot plate, LED lights and a cardboard box. "Urinary tract infections are particularly harmful to pregnant women and can cause miscarriage," explained Fitzgibbons, an infectious disease physician. "Thus, there is a medical need for rapid, low-cost, on-site testing -- particularly in resource-limited settings." "The app enables early-stage diagnosis and intervention, which is particularly important in the context of multidrug-resistant pathogens for which treatment options are highly limited," said Fried, a clinical care physician. "Such early treatment also reduces the risk of the emergence of multidrug-resistant pathogens." What is urodynamic testing? When is it required? Find out what it is used for and if it is useful in the diagnosis of conditions responsible for urinary incontinence and urinary tract infections.